​The preceding article entitled, “The Cost of Discipleship: What Bible Class Didn’t Teach You,” examined Jesus’ call to discipleship. Mark’s gospel was found to outline a radical change in those who would seek to follow Jesus in His earthly ministry. They were to deny their own selfish desires, humble themselves in submission to Christ, and take on the heart of a servant. These few paragraphs now attempt to magnify the reality of this heavy cost of discipleship. 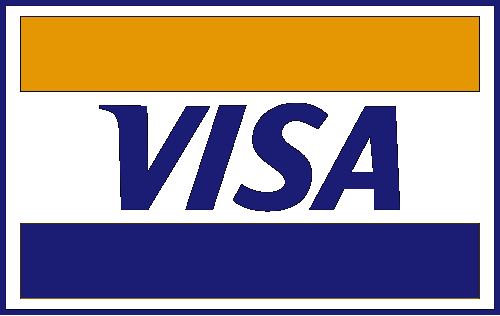 ​Jesus does not accept VISA credit card. Though an obscure statement, consider this analogy in the context of discipleship costing the individual a price. Credit cards function in such a way that the buyer can receive their reward or satisfaction now and maybe, eventually make the actual payment later. This was the very nature of the situation in Luke 9:59. In this passage, Jesus told a man, “Follow me.” The man replied, “Lord, let me first go and bury my father.” It is more likely that the man’s father was not quite dead yet. Rather, the man was probably telling Jesus, “My dad is 80 years old. Give me a couple years to savor this time with him, and then I will follow you.” Jesus’ response to such a seemingly innocent excuse would floor most people today. Jesus said, “Let the dead bury their own dead.” Did Jesus realize how harsh He came across in this instance? Surely Luke made up this ludicrous detail about Jesus…or did he? ​Many people who would call themselves “Christian” cannot identify with the Jesus of Luke 9:59, because this cost of discipleship does not fit their, “God is all grace, and He will accept me for who I am” mentality. People want to pay Jesus with VISA so to speak: enjoy satisfaction now and maybe, eventually make the actual payment for discipleship later. However, even a cursory glance at the whole of scripture brings sudden death to this shallow mindset. The cost of discipleship has always been higher and more radical than the status quo projects. ​The following are Bible passages that highlight heavy rebuke from God’s prophets, and on Bible passage portraying the transformed life of a true disciple. Malachi spoke against the priests of his day, “Behold, I will rebuke your descendants and spread refuse on your faces, the refuse of your solemn feasts…” (2:3). John spoke gravely against the apathetic church at Laodicea, “I know your works, that you are neither cold nor hot. I could wish you were cold or hot. So then, because you are lukewarm, and neither cold nor hot, I will vomit you out of My mouth,” (Rev. 3:15-16). Jesus speaking against the elite of society in His day proclaimed, “Woe to you, scribes and Pharisees, hypocrites! For you travel land and sea to win one proselyte, and when he is won, you make him twice as much a son of hell as yourselves,” (Matt. 23:15). Now, consider Peter’s admonition for a transformed life when he says, “We have spent enough of our past lifetime in doing the will of the Gentiles- when we walked in lewdness, lusts, drunkenness, revelries, drinking parties, and abominable idolatries. In regard to these, they think it strange that you do not run with them in the same flood of dissipation, speaking evil of you. They will give an account to Him who is ready to judge the living and the dead,” (1 Peter 4:3-5). ​If Christians made God’s word a lamp for their feet and light to their path (Ps. 119:105) there would be no quibble on the matter. Jesus calls for radical surrender. This means old habits will have to be left behind, and others might speak evil of you because of this, just as Peter said. Always remember, the narrow way which leads to life is difficult and few will find it (Matt. 7:14). Choose the difficult way. Choose life.